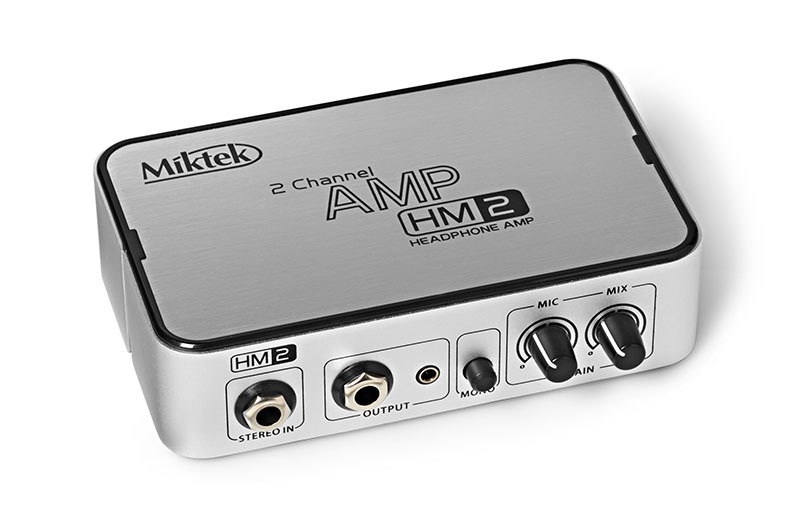 The HM-2 is more than a simple dual channel headphone amplifier. It allows you to independently mix the level of your microphone with a stereo source making it an ideal unit for personal monitoring, either on stage or in the studio. To set up your HM2, make sure all the knobs are turned all the way down. Connect the supplied DC adapter to the 20V DC POWER INPUT on the rear panel and then plug the adapter into any standard AC outlet. 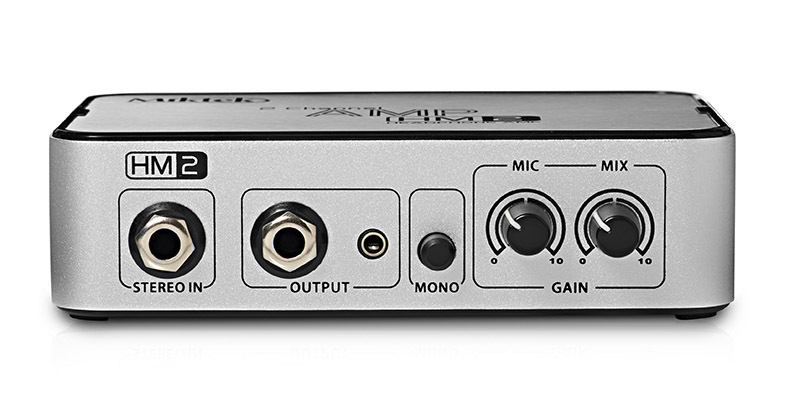 Connect your microphone to the HM2 MIC INPUT using a standard balanced XLR microphone cable. 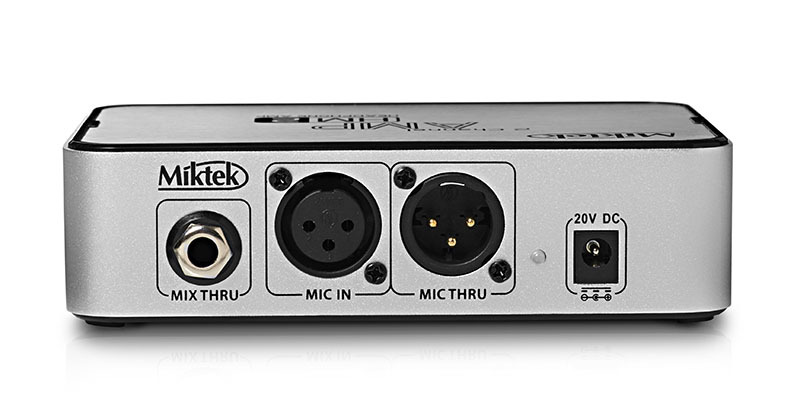 Then use a second standard microphone cable to connect the MIC THRU output to the input on your main mixer.